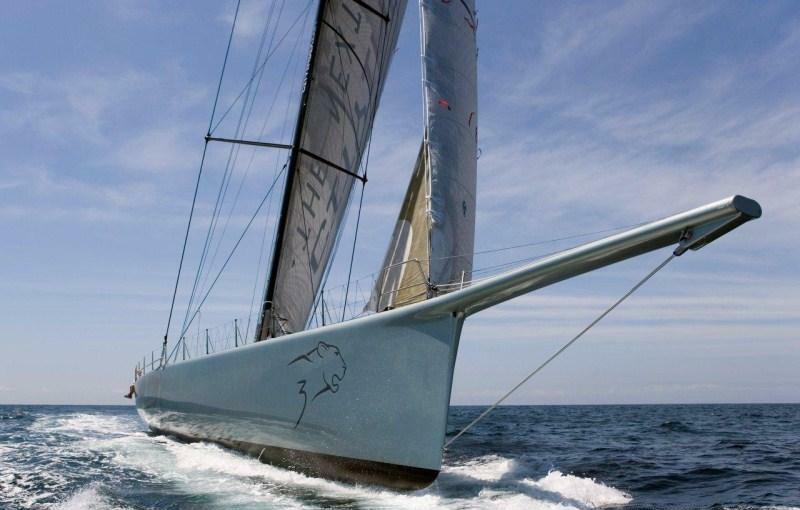 Mike Slade’s LEOPARD 3 racing sailing yacht, as launched in 2007, is a new concept for a 100ft super maxi from Farr Yacht Design. 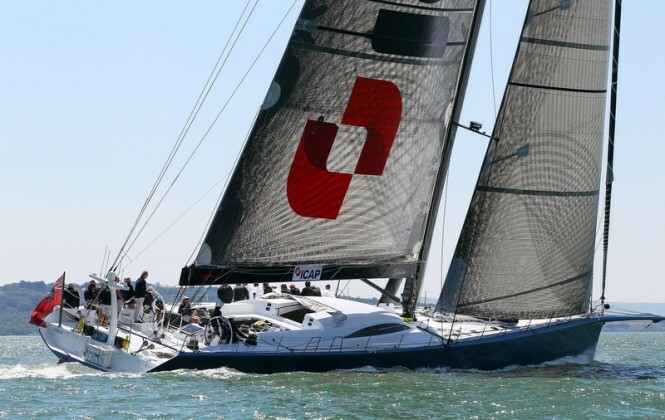 LEOPARD 3 meets the demanding requirements of a luxurious, signature charter yacht, a passage record breaker and a race winning super maxi in a fantastic new concept developed by Farr Yacht Design. 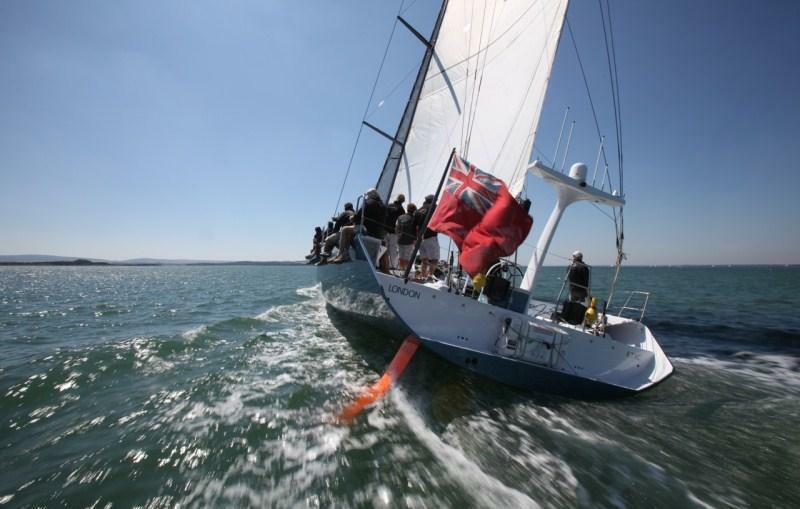 The yacht is 30 metres long, 6.8 metres wide, has a 5.5 metre draft, a 4.5 metre fixed bowsprit, one towering 47 metre mast and the keel cants 40 degrees either side of centreline. 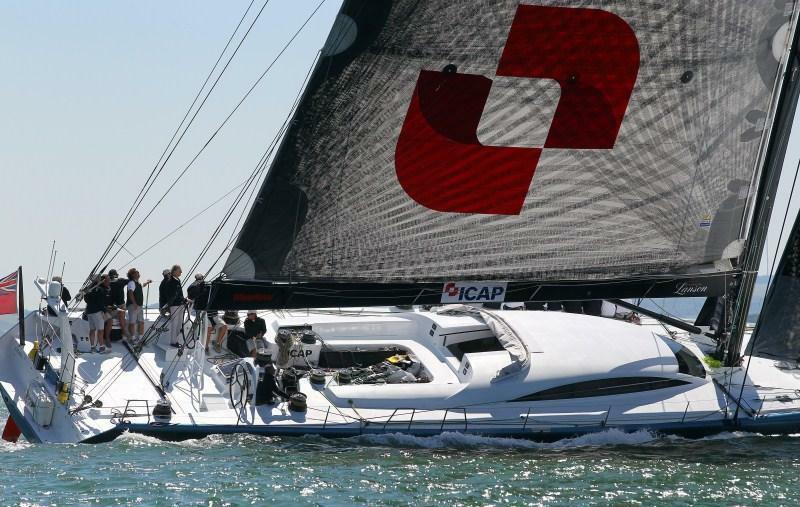 LEOPARD 3 features a relatively wide, powerful hull which is a direct successor to Farr Yacht Design’s successful Open 60, Volvo 70 and Cookson 50 designs. 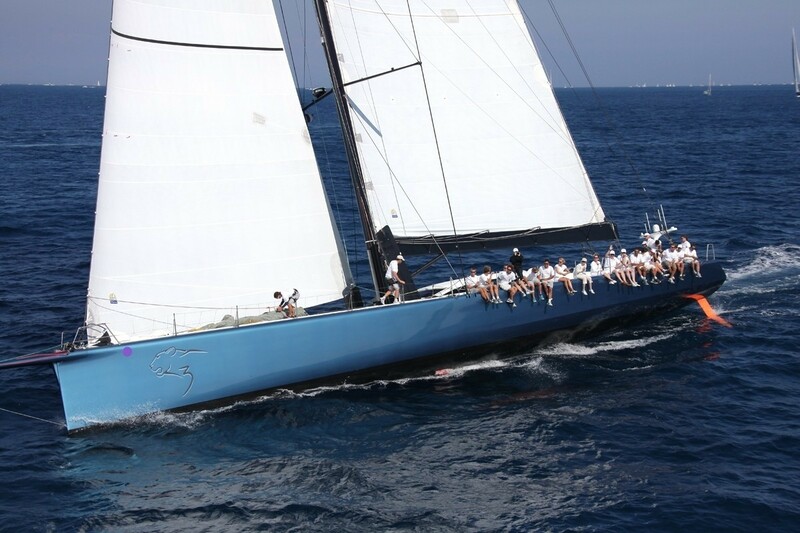 Accordingly, Farr Yacht Design has provided an ideal platform for exceptional speed with the volume for remarkable luxury yacht charters. 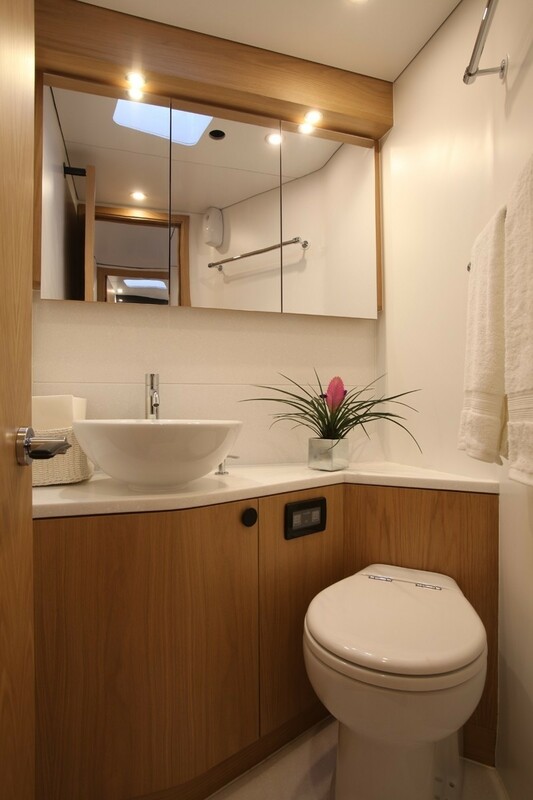 LEOPARD 3 is a notable, and welcome, departure from the current mode of extremely narrow boats. 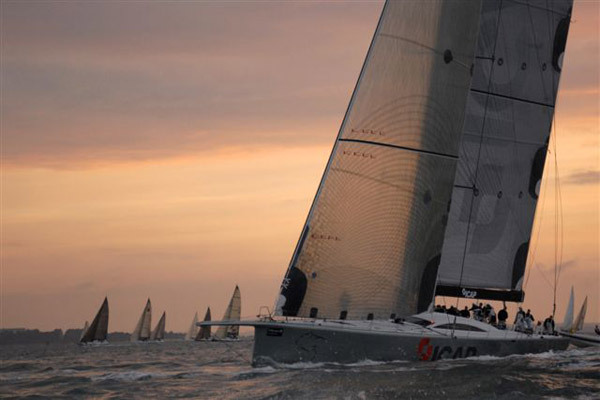 Like the Volvo 70, the yacht’s wider hull concept is especially suited for high-speed sailing offshore. 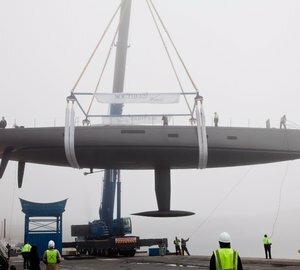 Interestingly her hull shape has been enhanced by the presence of a chine which improves water flow off the hull and reduces structural weight. 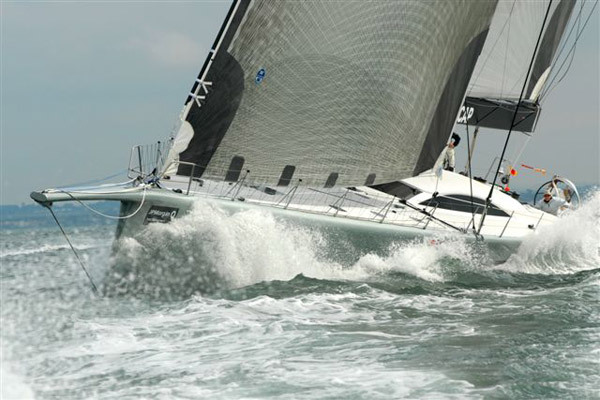 LEOPARD 3’s sleek world-class racing hull is appropriately matched to a collection of efficient underwater foils including a canting keel, twin asymmetric lifting canards forward and a single rudder on centerline aft. 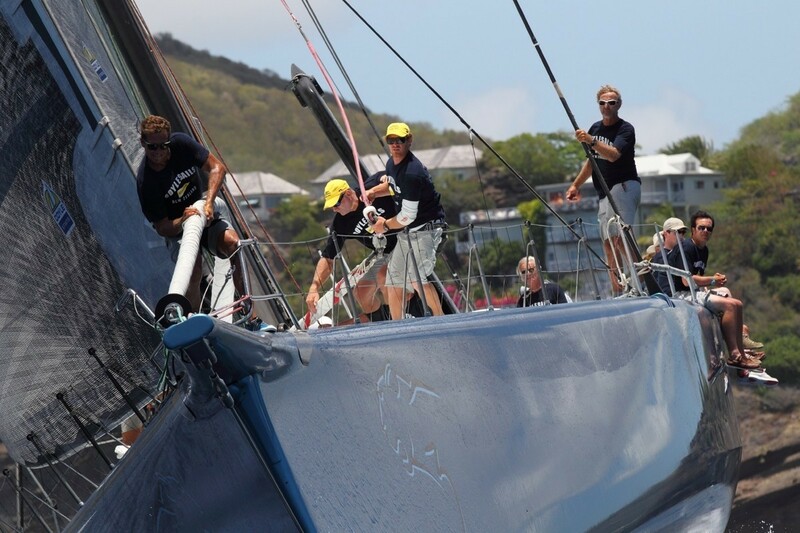 The stability boost added by canting the keel is equivalent to 200 crew members sitting on the rail, without the added weight! 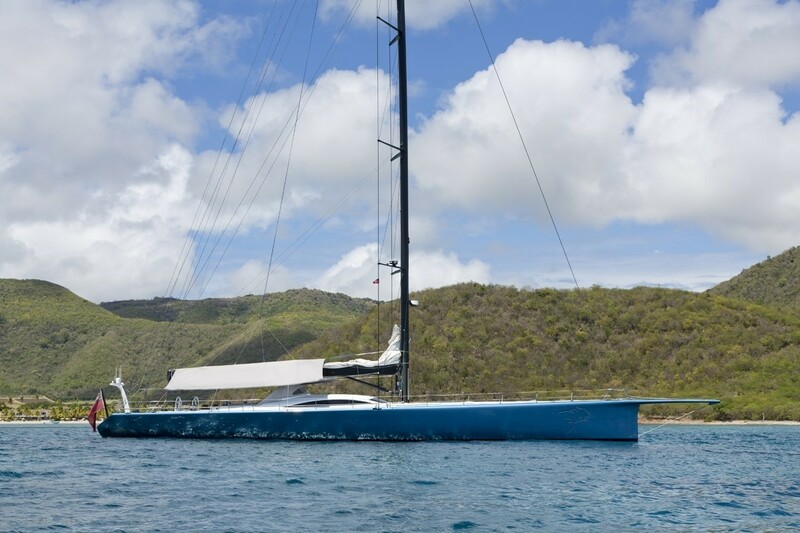 Her rig towers 154 feet above the water and can carry up to 15,000 square feet of sail area. The rig design is focused on providing the power and flexibility for the many modes of operation of Leopard 3. 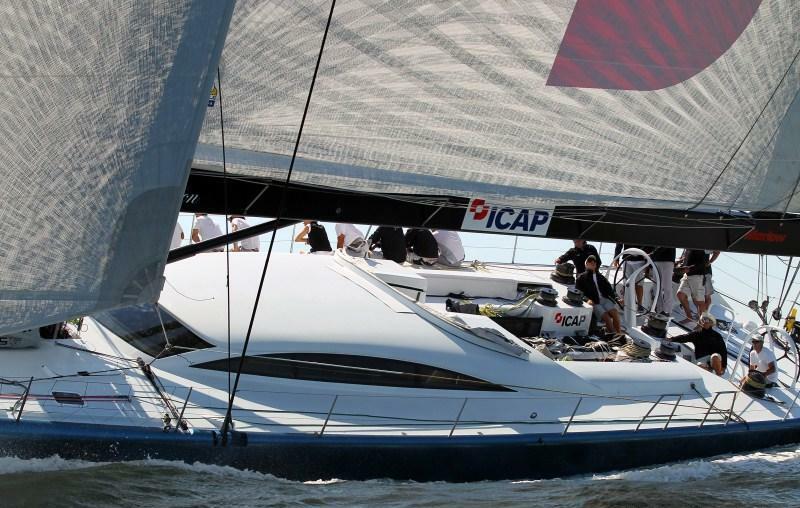 From competing for line honors in offshore races to thrilling charter outings the right amount of sail area can set quickly. 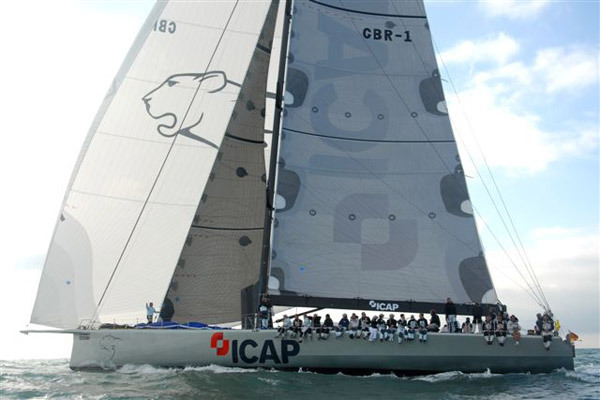 The construction of Leopard 3, by McConaghy Boats, is in carbon with the structural design and detailing supplied by Farr Yacht Design. 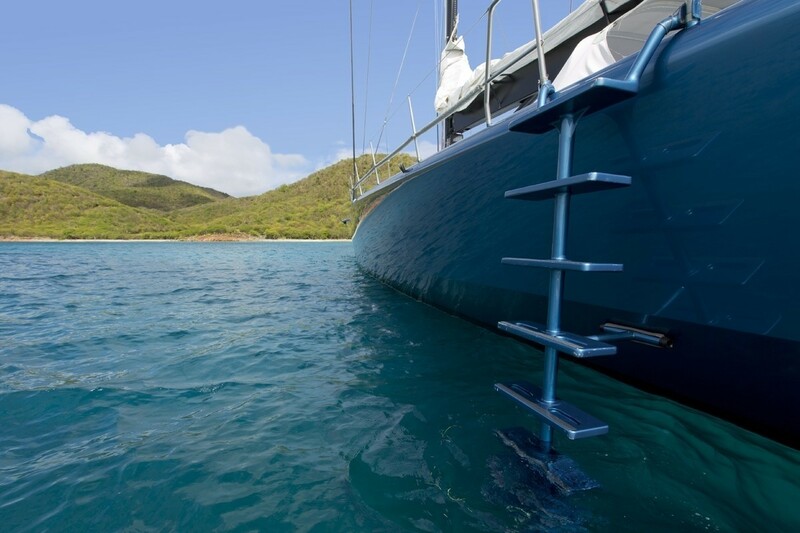 The interior and deck are styled by Ken Freivokh Design. 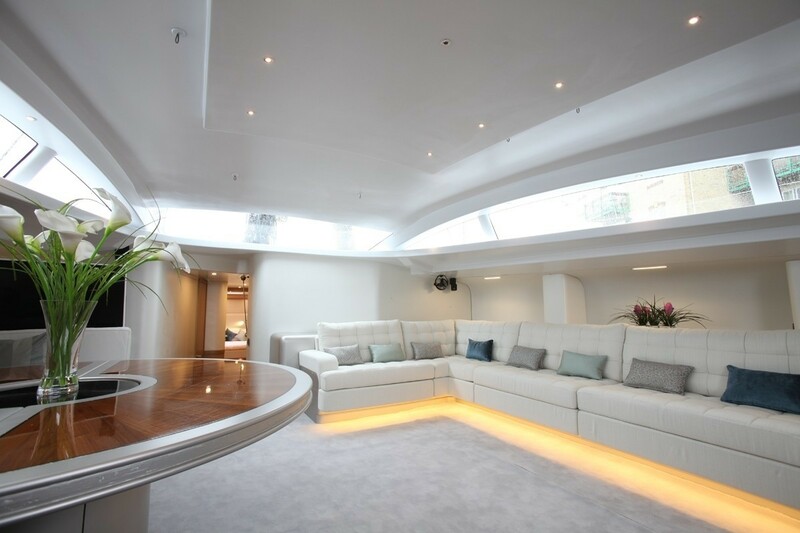 Designed and styled by 'Ken Freivokh Design' in Fareham, UK, the Leopard interior will be fitted out in an ultra light, airy and modern idiom. 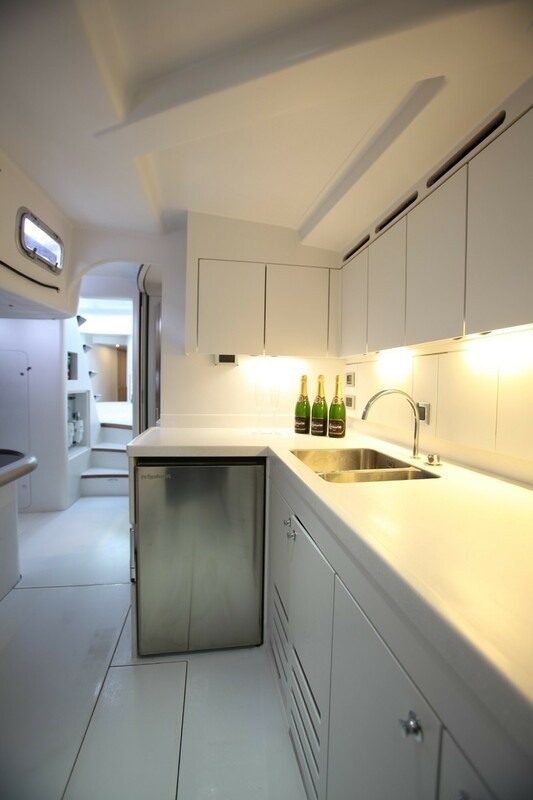 The interior is fully removable for competitive racing. 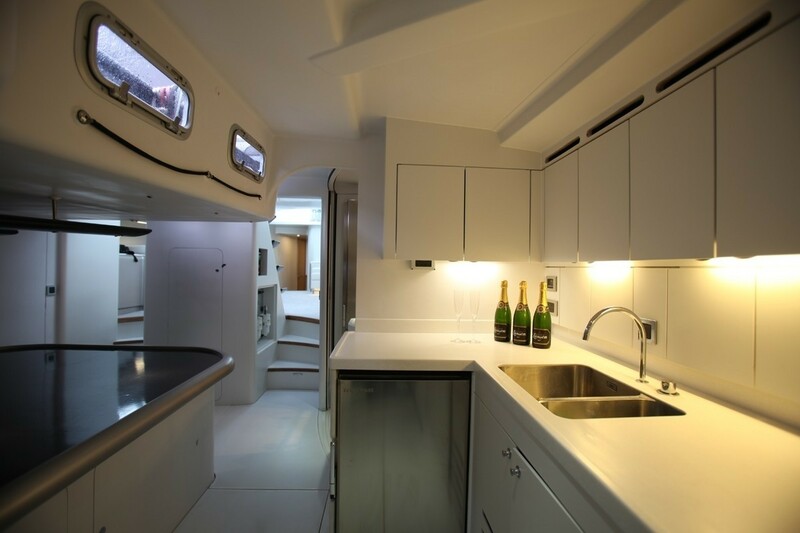 Broad companionway carbon steps lead down to LEOPARD 3’s spacious saloon. 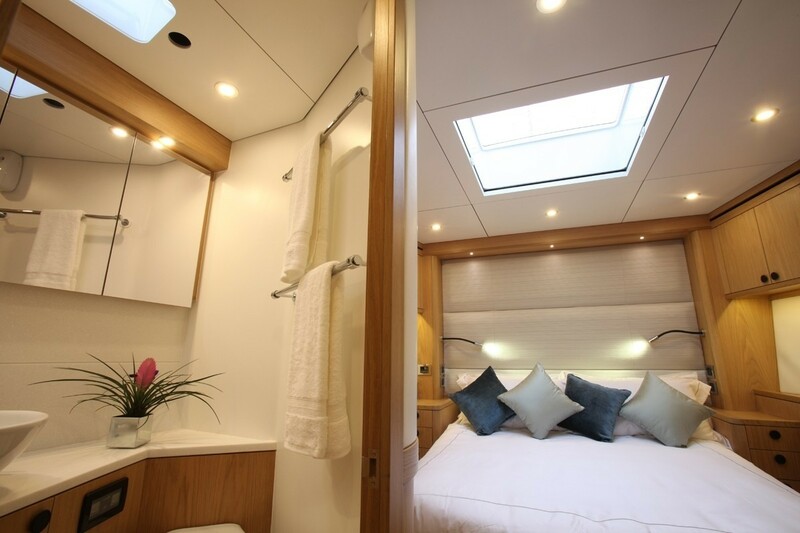 The saloon is elegant yet modern and filled with home comforts and comfortably seats 12 guests. 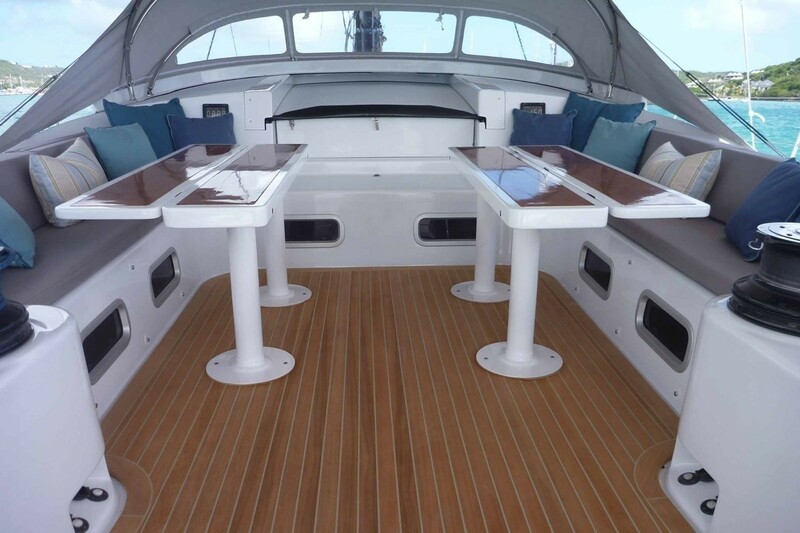 There is a large dining table to port and to starboard a carbon coffee table is surrounded by ample seating in appealing rich fabrics. 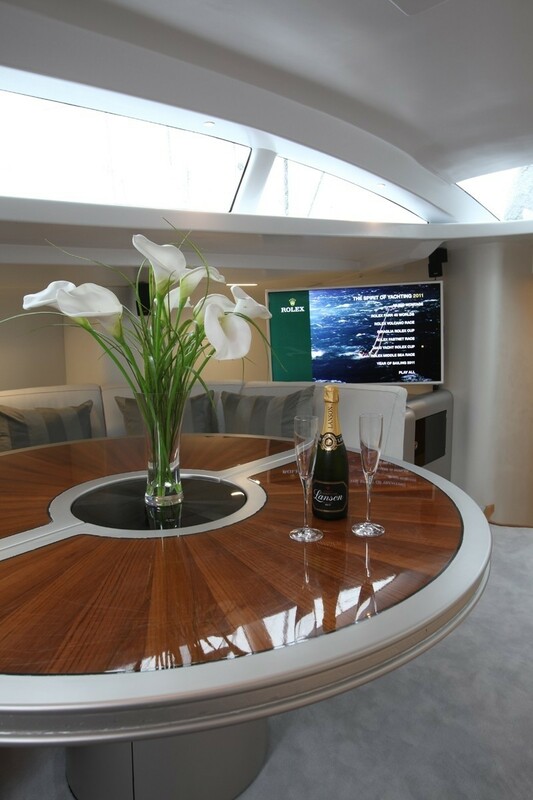 In-house entertainment comes via the latest in flat-screen TV, DVD and Audio equipment. 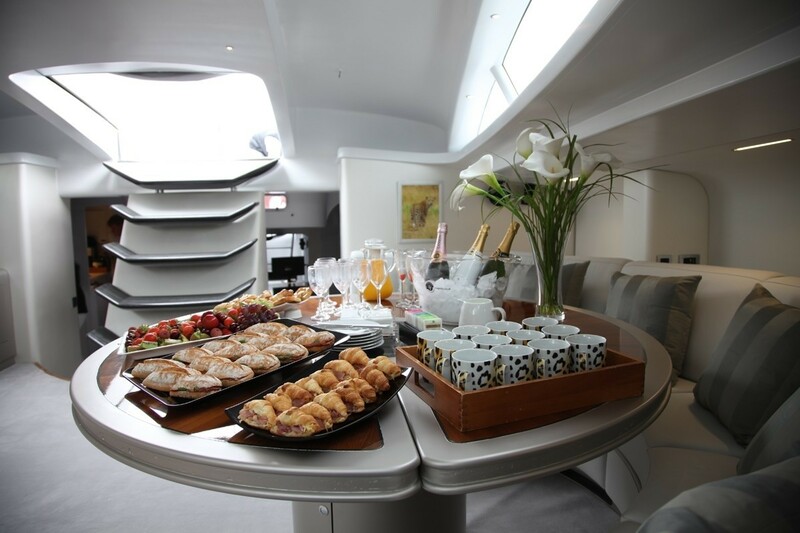 Leopard provides a unique blend of on-board luxury coupled with out-and-out performance to make her one of the most desirable yachts available for charter today. 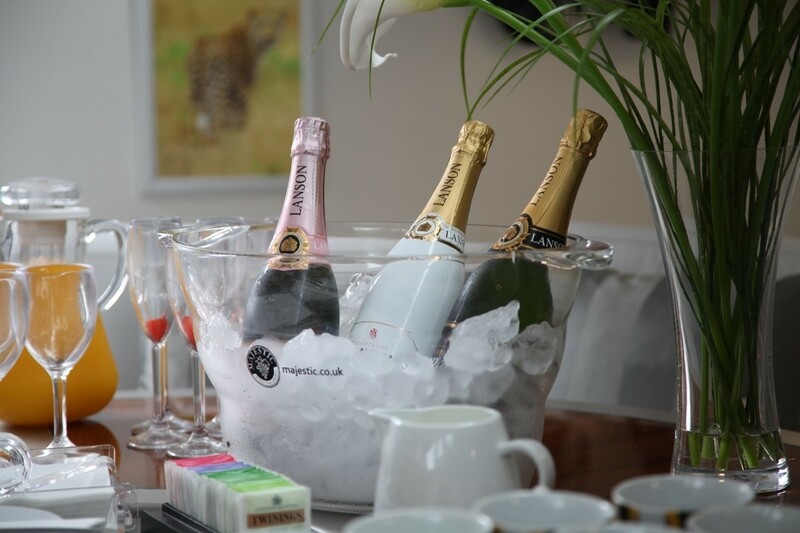 - Corporate Charters – Leopard can entertain up to 20 guests making her the ideal platform for corporate or private functions. 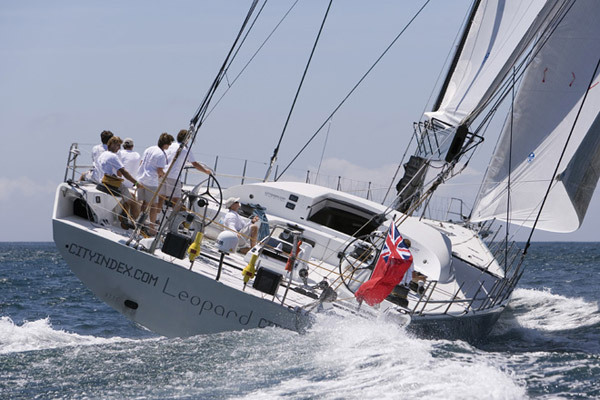 Following a highly successful racing career, Leopard is now fully refitted for the termed charter market & is set to follow in the footsteps of her predecessors, 'Leopard of London' and 'Ocean Leopard' - both yachts having excellent charter reputations & a strong repeat client base. 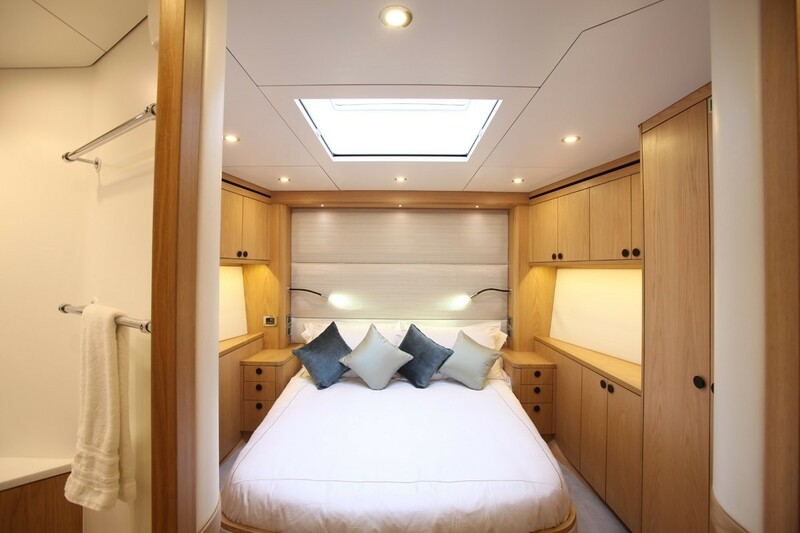 The accommodations are located forward and comprise of a master ensuite cabin, 2 double ensuite mid cabins and 2 single pullman cabins. 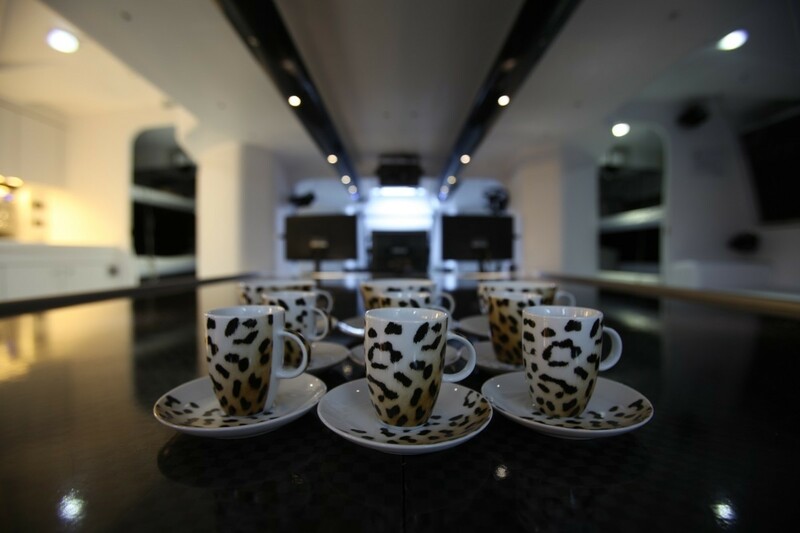 Leopard can take up to 8 guests. 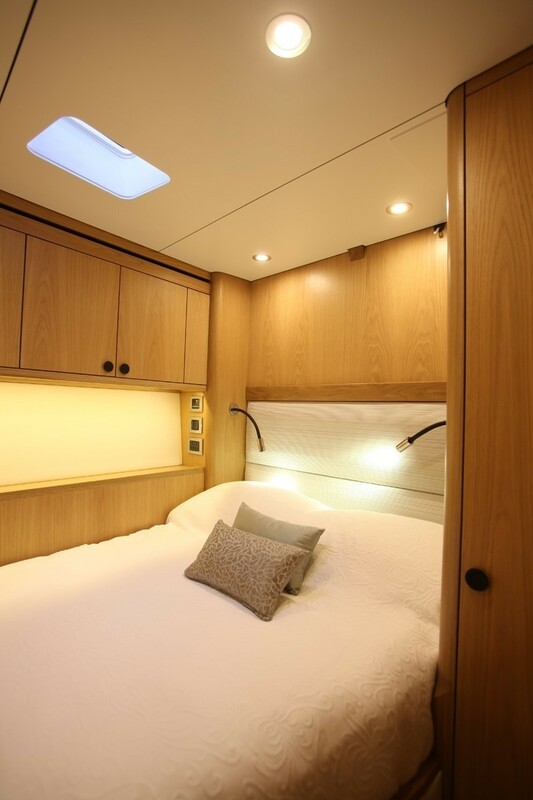 The crew quarters are located aft for the 5 crew. 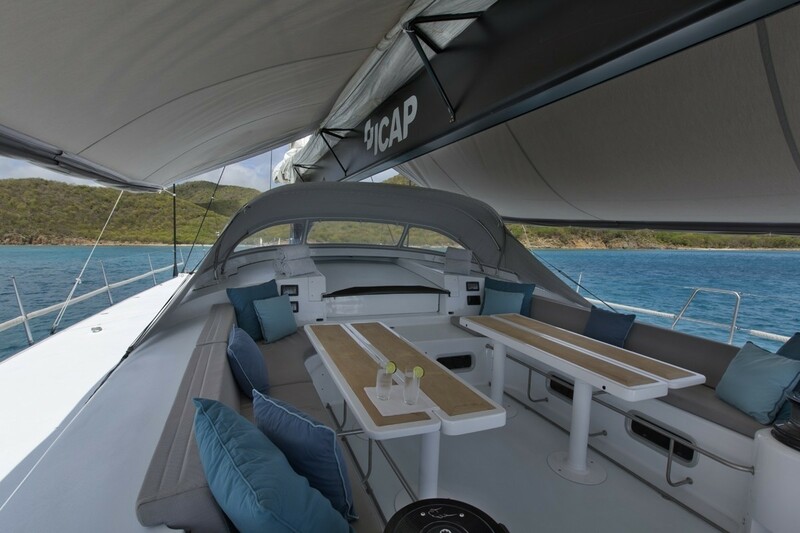 Leopard is one of the few charter yachts in the Caribbean that will undertake diving from the yacht with the Captain, Chris Sherlock, as the certified dive master on board. Night diving is also undertaken on request. 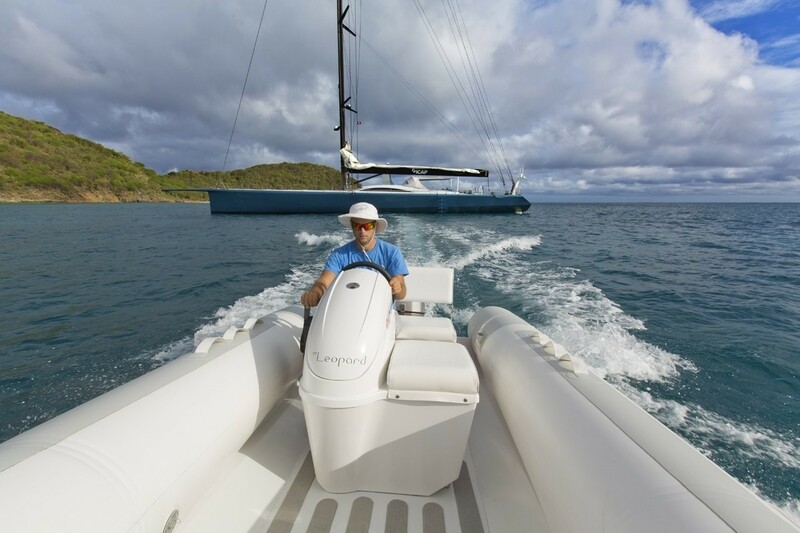 Chris, originally from Perth in Australia, has been the Captain of all 3 Leopard yachts over a period of almost 20 years & has proudly earned an outstanding charter reputation during this time. 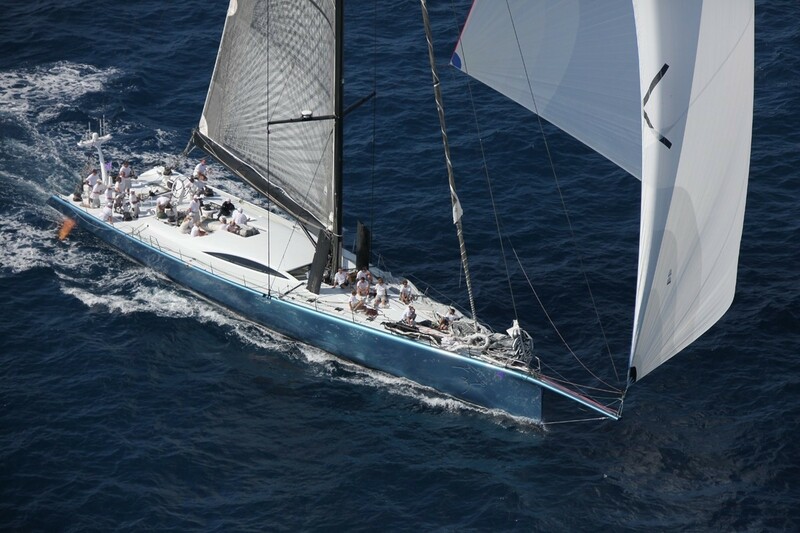 Bruce Farr Yacht Design is one of the most successful sailing racing yacht design teams in the world and it enjoys one of the most impressive sailing records over the years.